With rising competition in business, every single business owner wants to bring his venture to the forefront. As a businessman, you need to bring forward the message of your business so that it reaches the masses. For this reason, availing inflatable advertising instruments in the form of banner flags is the best option. Being a businessman, you must be aware, that inflatable advertising is amply used to draw the attention of potential customers. They are colorful; they are big and also unique. No points for guessing, that in order to stand out from the competition, you would want to come up with something different from what your competitors are doing. You want to catch the attention of people driving down the road, don’t you? Banners are low in cost and you can interpolate the message of your business in them. If you want your marketing strategy to be an innovative one, then you can make use of inflatable advertising. How would you feel if your company is not noticed in a trade fair and the resultant return on investment is low? Do you not want your company to enjoy a high rate of interests by its marketing methods? Yes, I know you are waiting with an affirmative answer. Advertising flags are of many kinds. 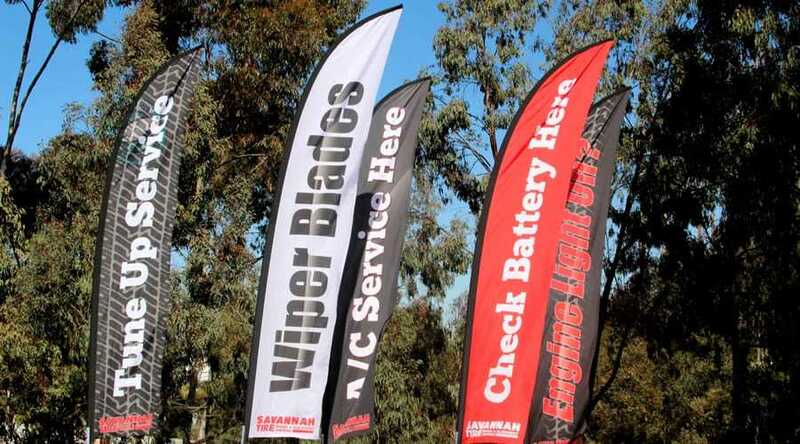 Teardrop banners, flying banners, and feather flags are some of the advertising banners that you can use. Since they are made of fiber, they are light in weight. Banner flags can be easily seen and carried too many places. Would you not like to see your banner flag from a distance while driving? You can also carry them to trade fairs. Hundreds of potential customers will be attracted to the colorful banners that proclaim your business. The economy of purchasing these banners is enhanced by the fact that they are made of polyester or fibers and can be used for a very long time. The harshest of weather conditions are not enough to pose a challenge to the banners. Thus, you are rendered free from the cost of buying new banners, every time you need to advertise your business in a trade fair. The colors also remain intact for a long span of time, so the banners look as new as ever. If you want effective marketing for your products and services, you should avail various inflatable advertising devices. Nothing can be more attractive and useful in an outdoor location than a banner that heralds customers to your business. It has a lasting impact on the mind of the customers who take interest in your business. 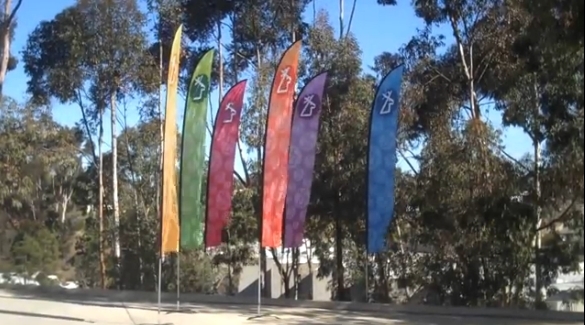 So, if you have a business and you are looking for a different way of advertising it, you can use banner flags. They are the epitome of complete marketing strategy. What are you waiting for? Order banners that suit your business needs and customize them so that they represent your business to the maximum number of consumers. They will give your company exactly the kind of boost that you desire.